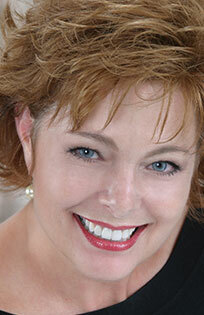 Having been a dental hygienist, the day I walked into Dr Tanya Brown’s office, I knew I was in good hands. I am so proud of my new smile & I receive compliments all the time. Millions of Americans suffer from chronic headaches, facial, jaw and neck pain. In some cases, this pain is due to Temporomandibular Joint Disorder (TMD) an imbalance in your occlusion (bite position). Injury to your jaw, TMJ, or the muscles of your head and neck; trauma or whiplash can also lead to TMD. Should you notice any of these symptoms, talk with Chesapeake TMJ professional, Dr. Tanya Brown. She can help diagnose TMJ disorder, and create an effective solution just for you. 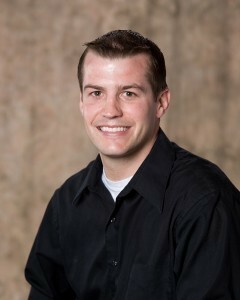 If you have any of the symptoms listed above and seek relief, Dr. Brown will probably begin with an occlusal analysis. Occlusal analysis is a method of recording your biting/chewing motion on a device called an articulator, which mimics your actual jaw movements. This is one of the most important tools that Dr. Brown uses to assure proper bite and function of your teeth and jaw. The i-Cat Cone Beam 3-D Imaging System allows Dr. Brown to get 3-dimensional images of your entire oral and maxillofacial structures – in about a minute! What does this mean to you? Better imaging means Dr. Brown has complete information to use to design your treatment plan. It means more precise treatments and much better results! And for patients who have a dental phobia or sensitive gag reflex, this is also very good news because it’s much less invasive. TMJ treatment commonly begins with splint therapy. This hard acrylic appliance is fabricated to fit snugly over either your upper or lower teeth. It becomes a temporary perfect bite for you. You will experience what a comfortable difference a stable, solid bite can make on your teeth, muscles and jaw. Many of the signs and symptoms of TMJ will likely diminish or even disappear. Recovery time depends on your situation and the signs and symptoms with which you started. Following a new bite evaluation, Dr. Brown may suggest that your teeth be reshaped, called an “occlusal adjustment,” so that they move smoothly against each other and fit together in the same solid position that you felt using the bite splint. Some patients with TMJ symptoms may be prescribed a nightguard. If you grind your teeth at night, if your teeth are visibly worn down, or if you suffer from headaches or jaw pain, you may benefit from a protective nightguard. Dr. Brown will fit you with a custom-made nightguard appliance. The nightguard will reduce the damage to your teeth from grinding or clenching during sleep, and reduce any grinding-related symptoms. Do you have TMJ? Take this Questionnaire to see if you should ask Dr. Brown about your painful symptoms. Please click here for Care and Instructions for Your Night Guard/Occlusal Splint.